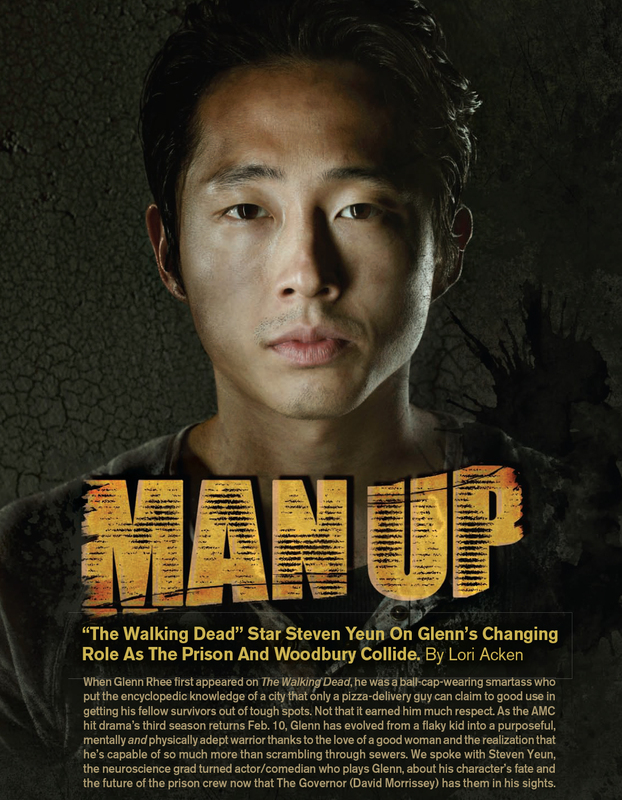 The Walking Dead Midseason Premiere Poster Revealed – The Walking Dead – AMC. They also have this new Dead Yourself App for iPhone and Facebook, but when I tried to put the link into the blog, it kept putting my Facebook credentials in and I wasn’t too happy about that. So if you want to make yourself into a zombie (for fun) of course, you’ll have to check it out for yourself at DeadYourself.com. But brace yourself and don’t have an accident when you go to that website (DeadYourself.com) because it’s actually quite scary. The Following’s Poe Obsession? or just something else being discussed by The Talking Heads. The Following is one of those shows where a commercial comes along, you look at the clock and you think it’s half over and only 15 minutes have gone by and realize you’ve been sitting on the edge of your seat the whole time. Yes, it’s getting that good and will be getting better. I signed into my imdbpro.com account this morning to check the credentials of some of the actors of The Following and of course the talking heads are “talking.” People take television so seriously. In the “News” feed, Vulture.com interviewed this English professor about the hard-on Joe Carroll (James Purefoy) has for Edgar Allan Poe in the series (see the link below). Personally, she should be asking that question of the writer(s) and creator of The Following, not an English professor who knows about Poe. Especially when the English professor says that the most accurate TV/film adaptation of Poe in recent years has been The Simpsons (well at least it’s still in the “Fox” family). I wonder how much Gwynne Watkins knows about Edgar Allan Poe? Well she seems to be very well educated and well written. However her Twitter biography includes two words that says it all – professional overthinker. Ah ha, there lies the problem. It’s television people, we’re not teaching an online class, we’re trying to entertain people. So it’s up to you if you want to read Gwynne’s column or … not. My advice is to set your DVR and not miss any more episodes of The Following. If you have missed any, you can go here: http://www.fox.com/full-episodes/ and catch up. What’s With The Following’s Poe Obsession? — Vulture. The night time Gang Unit at work November 5, 2012 in Boston, MA. ©Turner Entertainment Networks, Inc. A Time Warner Company. Credit: Antonio Bolfo. Donnie Walhberg knows a thing or two about playing a cop on TV and in the movies, having embodied more than a dozen lawmen since he parlayed his New Kids on the Block fame into a successful acting career in the mid ’90s. But when Wahlberg, who currently stars as Detective Danny Reagan in the hit CBS cop drama Blue Bloods, decided to produce a law enforcement show of his own, he knew exactly whom he wanted for his stars — the real men and women of Boston’s police force. 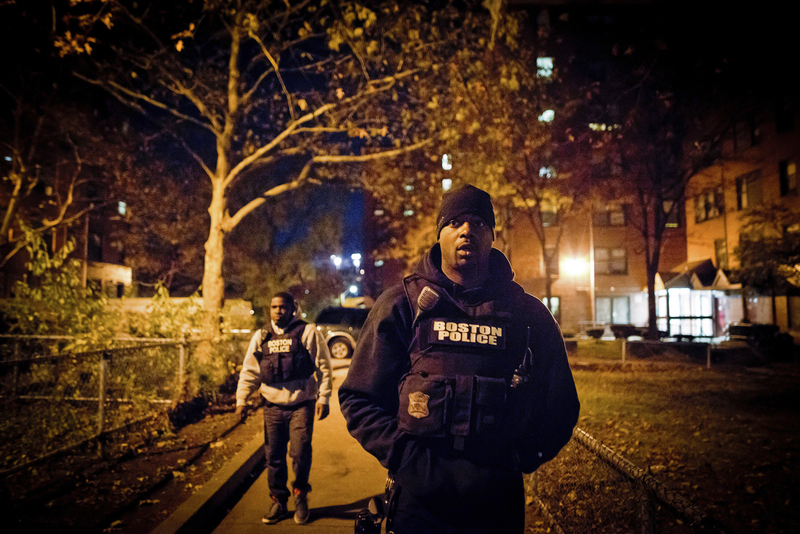 Boston’s Finest premieres Wednesday, Feb. 27 on TNT. Not Up for Watching the Super Bowl …Walking Dead Marathon Starting NOW! here’s a partial list of network marathons, that could very well grow between now and Sunday. 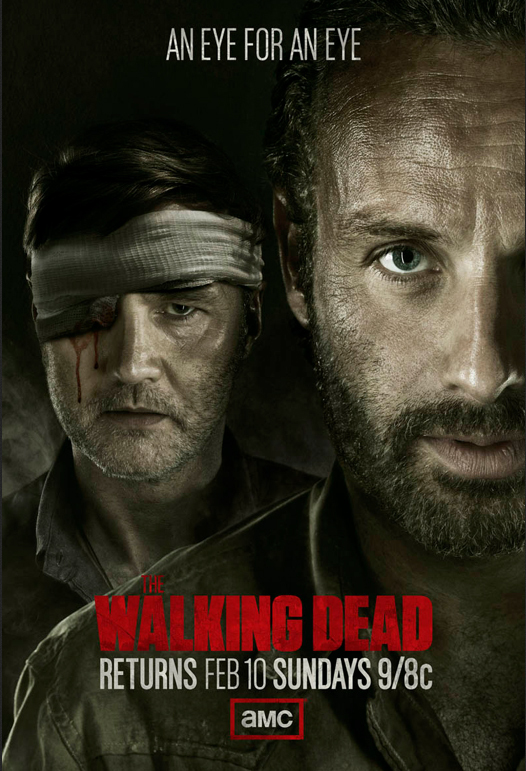 AMC, Starting at 3pm/2pm EST – The Walking Dead – as I was combing the channel listings this morning I came across AMC starting a Walking Dead marathon of the 2010 season, starting of course with the first episode where Rick wakes up from his coma. Not that the Puppy Bowl isn’t cute, but considering I worked 7 hours at the Annual Pet Expo yesterday for RedRover, I’ve had my fill of dogs. 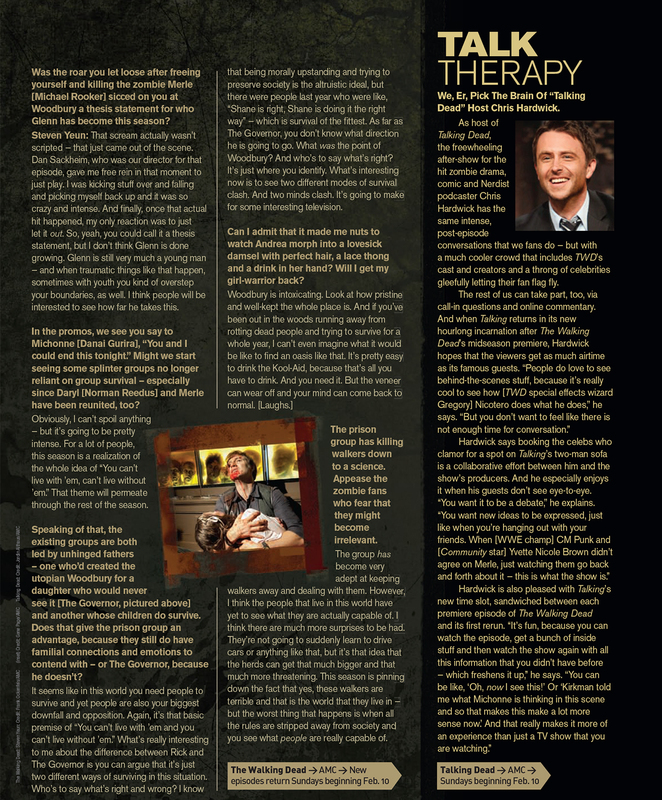 I even had two free sessions of Rottweiler therapy. I needed that since I was crying all over a photographer’s sample book of her Rottweiler photos. I’m such a sap. I did find a really nice hand knit sweater for my chiweenie and he actually likes it. The Super Bowl is on CBS starting at 5:30pm (CST). 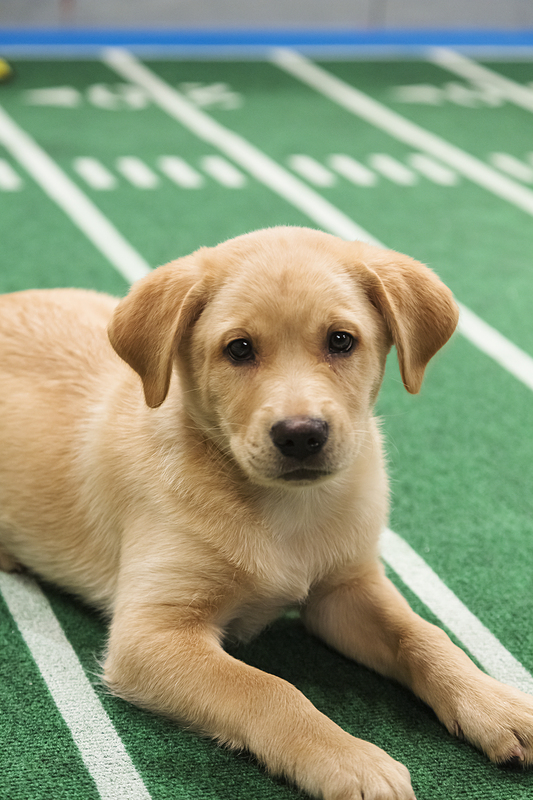 Animal Planet, 3/2pm ET, The Annual Puppy Bowl IX – This is the ninth year for the Puppy Bowl featuring the usual fan favorites: the water-bowl cam, kiss-cam and more. USA Network, 10/9am ET, NCIS, join Tony, Kate, Ziva, McGee and Abby and Gibbs as they hunt down some of the most creative killers during a NCIS marathon until 11/10pm tonight when they’ll air The Breakup. FX Serves Up A Cold-War Dish Of Soviet Spies Living Undercover. There’s a temptation to look back fondly on the Cold War, if for no other reason than that the line between good and evil was clearly drawn: The U.S. hated the Soviet Union and vice versa. But in The Americans, that line is muddled, both for the characters and the audience. The time is 1981, and Phillip (Matthew Rhys) and Elizabeth Jennings (Keri Russell) seem like the all-American couple, running a travel agency and raising their two children in suburban Virginia. But what their neighbors — and even their children — don’t know is that they are actually Soviet spies living deep undercover. The idea arose after news broke in 2010 about Russian spies who had been living in America for years, Yost says. Setting it back in the Reagan years allows the series to really encapsulate the era. The Americans premieres this Wednesday, Jan. 30 on FX Network. 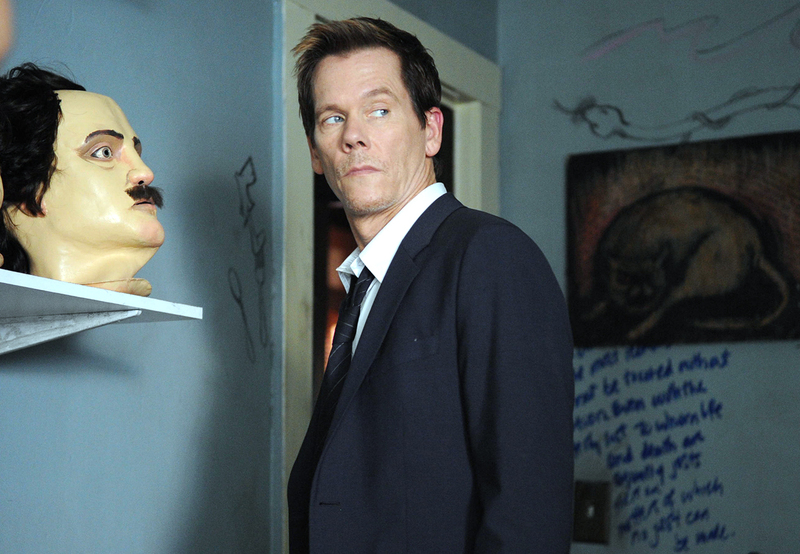 Review: Kevin Bacon helps make ‘The Following’ worth following – latimes.com. The Following premiered on Monday and tied CBS’ Elementary as the second-highest rated new drama premiere of the season. AHS: Asylum on FX had its season finale on Wednesday, which was somewhat disappointing, but definitely not unexpected (the three episodes prior to the finale were some of the best). Now that AHS is over, you can concentrate all your brain power on watching The Following. The review above (click the link) is exceptional, written by Mary McNamara, Television Critic, from the Los Angeles Times. You might need some brain power to read it, because she isn’t one of those entertainment magazine reporters who write a bunch of fluff riddled with typographical errors. I watched The Following and I loved it. 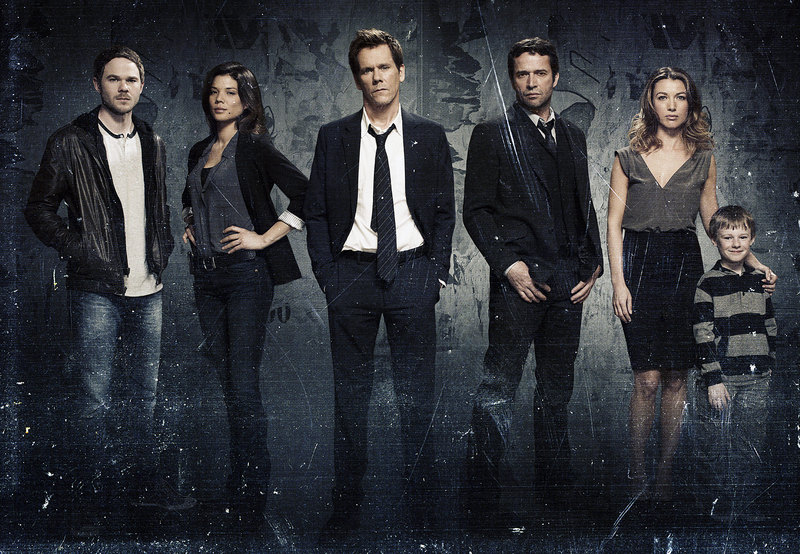 Seeing Kevin Bacon on the small screen was worth tuning in and the supporting cast is exceptional. Click on the link, read the review and tune in next Monday to watch The Following. Also, don’t forget to set your DVR. I had to get caught up on my NCIS over the weekend and walked away quite shocked, actually. I made it through the Jan. 15 episode “Shiva” and was rather devastated by the loss for both Ziva and Leon. If you haven’t seen them, I suggest you catch them – you certainly don’t want to miss any of the episodes out of order. Shiva on the other hand is a Hindu deity and is “the Destoyer” or “the Transformer.” Shiva has many benevolent as well as fearsome forms. Once you see the two NCIS episodes with these two titles, these words and their meanings will make much more sense to you. 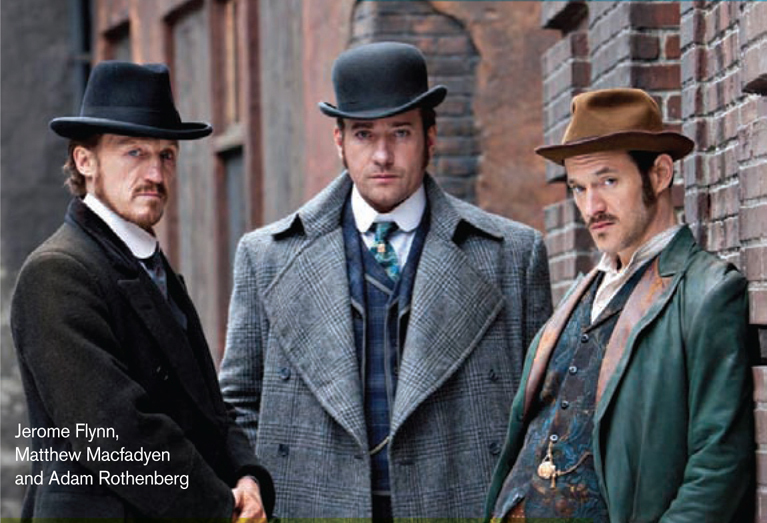 ‘Ripper Street,’ With Matthew Macfadyen, on BBC America – NYTimes.com. You definitely won’t be sorry. The premiere episode was absolutely delicious. I’m still trying to decide who I like better, Detective Inspector Edmund Reid (center, Matthew Macfadyen), Drake (Jerome Flynn, on the left) or Capt. Homer Jackson (Adam Rothenberg, on the right) who is definitely my kind of man since he’s into death and forensics. I mean if you doubt the NYTimes, don’t bother clicking on the link above and reading their ringing endorsement of the show, this is my second write-up of it. I will suggest that you set your DVR, because it does take a while for your ears to get use to that fine English language they spoke over there in them days (gosh what horrible grammar). After viewing both episodes, I’ll be DVRing them just so I can watch them more than once. I promise you, they are just… that… good. It’s like watching a little movie onto itself. They are FLAWLESS. Don’t let the title give you the slightest doubt. The closest this show is to Ripper anything is that it’s being done in the same time frame and in the same neighborhood. Other than that, you’ll forget all about Jack-The-Ripper after the first episode. Besides, they’ll be plenty of other drama to be engrossed in during the coming episodes and you’ll be oh, so engrossed.